Department of Pharmacognosy, Prin. K. M. Kundnani College of Pharmacy, Cuffe Parade, University of Mumbai, Mumbai - 400005, Maharashtra, India. 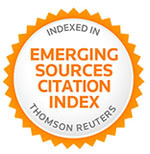 ABSTRACT: Incidence of fungal infections is increasing at an alarming rate, presenting an enormous challenge to healthcare professionals. Despite advances in preventive, diagnostic, and therapeutic interventions, the invasive fungal infection causes significant morbidity and mortality in immunocompromised patients. An effective alternative to conventional synthetic antifungal agents can be the use of medicines from natural sources for treatment of fungal infections. The present study is based on a comparative evaluation of preliminary phytochemical screening and in-vitro antimicrobial activity of petroleum ether and ethanolic extracts of Cassia tora seeds and leaves. Phytochemical screening revealed the presence of carbohydrates in all four extracts while anthraquinones were found in ethanolic extract of leaves and seeds. The in-vitro antimicrobial assay was performed by agar well diffusion method. Each of the extracts was screened for antimicrobial activity against Candida albicans, Staphylococcus aureus, and Escherichia coli. Ethanolic extract of leaves showed significant antimicrobial activity. The MIC of ethanolic extract of leaves was found to be 100 mg/ml, 75 mg/ml and 50 mg/ml against Candida albicans, Staphylococcus aureus, and Escherichia coli respectively. Microspheres were prepared as a topical formulation using an ethanolic extract of leaves and evaluated. Particle size, entrapment efficiency of the optimized batch was found to be 65.34 µm and 82.91% respectively. In-vitro diffusion studies resulted in the sustained release of the developed formulation as compared to the marketed topical formulation. INTRODUCTION: Fungal infection is an inflammatory condition caused by fungus. There are about 1.5 million of fungal species of which 300 species are found to be pathogenic, but the majority cause extremely rare mycoses and only a few species are relatively common pathogens 1. Immunocompromised patients are more prone to fungal infections as compared to healthy individuals 22. Most fungal infections are not treated well, and they develop into chronic infections 2. India has one of the highest rates of Candida bloodstream infection in the world 3. Candida albicans is the main organism responsible for mucosal disease 4, 5. Along with Candida albicans, which causes both superficial and systemic candida infection, Nonalbican candida (NAC) like Candida glabrata, Candida parapsilosis, Candida tropicalis, Candida krusei, Candida kefyr, etc. also causes various infections 6. Treating fungal infection poses a unique challenge because of similarities in the fungal and human cell. The current drugs available to treat Candida infections in humans generally target the cell wall, or membrane, and can be classified into 4 main categories, based on their mechanism of action; polyenes, azoles, echinocandins, and allylamines. Majority of these drugs are becoming resistant to fungus due to decreased drug concentration, target site alteration, upregulation of target enzyme, development of bypass pathways, a decrease in ergosterol content, impaired cellular uptake to a mutation in cytosine permease 7. Thus, the majority of clinically used antifungals have various drawbacks in terms of toxicity, efficacy, cost, and resistant strains which have led to great demand for novel antifungals belonging to a wide range of structural classes, selectively acting on new targets with fewer side effects 8. The use of natural products is considered as an interesting alternative to synthetic fungicides 9. A wide variety of herbal plants are available in the Indian subcontinent, and they are the backbone of traditional Indian medicines. Ethnobotanical studies revealed the use of Cassia tora for skin infections 3. Cassia tora belongs to subfamily Cesalpinaceae; family Fabaceae is an herbaceous annual foetid herb. An annual herb 30-90 cm high, tall and consists of alternative pinnate leaves with leaflets mostly with three opposite pairs that are obovate with a rounded tip. There are 30-50 seeds within a pod 10, 11. Seeds of Cassia tora have been reported for antioxidant 17, hypolipidemic 14, hepatoprotective 13, antihelmintic 21 and larvicidal 15, 20 activities while leaves are reported for antibacterial 12, purgative 16, anti-Alzheimer 18 and anti-parkinsonism activity 19. The major objective of the present study was to carry out preliminary phytochemical screening, standardizing, evaluating the antimicrobial potential of petroleum ether and ethanolic extracts of Cassia tora leaves and seeds and develop an effective formulation from the microbiologically active extract. Collection and Processing of Plant Material: Seeds of Cassia tora were collected from the local market at Colaba (Mumbai, Maharashtra) during July 2017. Fresh leaves of Cassia tora were collected from Vasai (Maharashtra) during July 2017. Seeds were washed, oven dried, powdered using a mixer grinder and then sieved through 18 # sieve to obtain fine seed powder. Leaves collected were garbled to remove extra debris. They were washed, oven dried and powdered. This fine powder obtained was further subjected to extraction. Extraction of Leaves: Dried leaves were powdered and subjected to extraction using Soxhlet apparatus with petroleum ether (60:80) as a solvent for 6 to 8 h. After the leaves were defatted, the remaining marc was extracted using ethanol until the siphon tube showed colorless liquid (16-18 hours). Subsequently, the solvent was recovered by distillation and extract was evaporated to dryness using an electric water bath at 100 ºC to obtain the crude extract. Extraction of Seeds: Seeds were powdered and subjected to extraction using Soxhlet apparatus with petroleum ether (60:80) as the solvent for 6-8 hours. After the seeds were defatted, the remaining marc was extracted using ethanol until exhaustion (16-18 h) to obtain the crude extract. Subsequently, the solvent was recovered by distillation and extract was evaporated to dryness using an electric water bath to obtain the crude extract. Preliminary Phytochemical Screening: Preliminary phytochemical screening was carried out by the standard procedure. The extract was tested for phytoconstituents such as steroids, alkaloids, carbohydrates, flavonoids, saponins, tannin, anthraquinones, and cardiac glycosides. Preparation of Standard Solution: Rhein was used as a marker compound. 10 mg of rhein was accurately weighed and dissolved in 10 ml of ethanol to get the concentration of 1000µg/ml (Stock Solution A). 1 ml of Stock Solution A was diluted to 10 ml to prepare a concentration of 100 µg/ml (Stock Solution B). λmax was recorded by UV at 258 nm using UV-VIS spectrophotometer. Different concentrations of 4, 6, 8, 10 and 12 µg/ml were made from stock solution B. Linearity was calculated. Method validation was carried out including parameters such as precision, repeatability, linearity, limit of quantification and limit of detection. Procurement of Cultures: The three different cultures Candida albicans, Staphylococcus aureus, Escherichia coli were procured from National Collection of Industrial Microorganisms (NCIM)-Pune. Step 1: Sterilization of Soybean Casein digest medium was done, and subsequently the medium was inoculated with one loopful of culture. Inoculated media was incubated for 48-72 h at 25 °C until sufficient growth was observed. Step 2: Petri plates and Sabroud’s Dextrose agar were autoclaved for 15 min at temperature 121 °C and pressure 15 psi. Sterile Petri plates were cooled to room temperature and Sabroud’s Dextrose agar was inoculated with 0.1 ml of culture at 40 °C. Step 3: 15-20 ml of inoculated medium was poured into each of the Petri plates. Wells were made in triplicates in each of the plates using a sterile borer aseptically. 100 µl of the sample was added to each of the wells. Step 4: Plates were kept in an incubator at 25 °C and results were observed after 72 h.
Zone of inhibition was measured, and minimum inhibitory concentration was determined using different concentrations of the extract. Microspheres were prepared by Solvent Evaporation Method. List of Chemicals: Ethanol, Water, Potassium dihydrogen phosphate, Sodium hydroxide pellets, tween 80, HPMC K 100M. a. Ethanolic extract of leaves and polymer were accurately weighed and taken in different drug: polymer ratio in a 100 ml beaker. b. To the beaker, 10 ml of ethanol was added to it. The solvent was used to solubilize the extract and polymer. c. The beaker was then swirled repeatedly until the extract and polymer got dissolved in the organic phase. d. In a different test tube, 0.1 ml of tween 80 was taken. To this, 20 ml of distilled water was added, and the test tube was a vortex to completely solubilize tween 80.
e. The surfactant solution, e. the aqueous phase, was then transferred to a 100 ml beaker. This beaker containing aqueous phase was placed on a magnetic stirrer. f. The organic phase in another beaker was taken in a syringe and added through the needle in the form of a fine stream, and the mixture of both the aspects was allowed to stir at 1000 rpm. g. The stirring was continued for 2 h until complete evaporation of ethanol was achieved. Optical Microscopy: The particle size of the microspheres was calculated using the stage micrometer and the eyepiece micrometer. A total of 10 microspheres were measured, and the mean diameter of the microspheres was calculated. In-vitro Release Studies: For studying the in-vitro drug release Himedia dialysis membrane was used which was soaked in phosphate buffer pH 7.4 for 24 h before the diffusion studies. For carrying out the diffusion studies, Franz-diffusion cell was used with a volume of 18 ml and the diffusional area of 5.732 cm2. The receptor compartment was filled with freshly prepared phosphate buffer of pH 7.4 simulating with buffer used for method development. The membrane was placed over it in a way to ensure proper intimate contact is present between the buffer and the membrane. 0.1 ml of microsphere formulation was loaded onto the donor compartment. The receptor and donor compartment were clamped, and the diffusion cell was kept on the magnetic stirrer to stir the fluid in the receptor compartment. At predetermined intervals of 0 min, 15 min, 30 min, 45 min, 60 min, and 120 min. 2 ml of aliquots were withdrawn from the sampling port, and the medium was replaced with the buffer. The aliquots withdrawn were diluted accordingly and analyzed using UV Vis Spectrophotometer. Extraction Yield: Extraction yield of Cassia tora using different solvents was calculated. The percent yield of ethanolic extract was found to be higher as compared to petroleum ether extract of seeds and leaves. Phytochemical Analysis: Different extracts from seeds and leaves were subjected to phytochemical analysis using different test reagents. The phytochemical studies revealed variations in biochemical constituents. The screening of the plant extracts for the phytoconstituents revealed that all the four extracts were rich in carbohydrates. Anthraquinones were present in ethanolic extracts of seeds and leaves. According to the literature survey, secondary metabolites isolated from different extracts of Cassia tora have been reported to have therapeutic importance.24 For example; anthraquinones from the seeds of Cassia tora is reported to show inhibitory activity on protein glycation and aldose reductase and antimicrobial activity 25. Quantification: From the calibration curve amount of rhein present was quantified in the seeds and leaves extract. Therefore, X = 2.487 µg/ml. Therefore, 2.487 µg/ml of Rhein is present in 100μg/ml of Ethanolic extract of Cassia tora. Hence in 100 gm of Ethanolic extract of seeds of Cassia tora contains 2.487 gm of Rhein. Therefore, X = 4.352 µg/ml. Therefore, 4.352 µg/ml of Rhein is present in 100μg/ml of Ethanolic extract of Cassia tora. Hence in 100 gm of Ethanolic extract of leaves of Cassia tora contains 4.352 gm of Rhein. 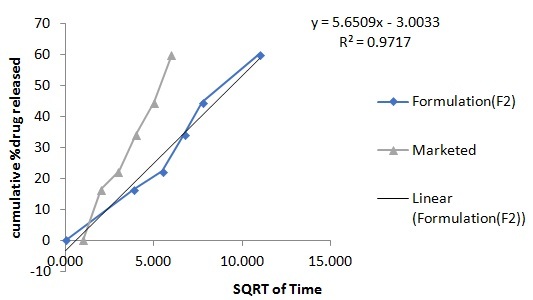 Precision: Precision was reported in terms of Relative Standard deviation (RSD) over the range of quantification for a single experiment in which standards are assayed in replicate (Intraday), and for a series of experiments in which standards are assayed in over several experiments (Interday). Intra Day Precision: Intra-day precision was determined by injecting three different concentrations for three times in the same day. Peak area was measured and % RSD was calculated. Inter-day Precision: Inter-day precision was determined by injecting three different concentrations for three days in a week. Peak area was measured and % RSD was calculated. Repeatability: The repeatability of the proposed method was ascertained by injecting five replicates of 8 μg/mL concentration, within the Beer’s range and finding out the peak area by the proposed method. From this peak area %, RSD was calculated. Where, σ = Standard deviation of the response, S = Slope of the calibration curve. Limit of Detection of the given method was found to be 0.294 µg/ml. Limit of quantification of the given method was found to be 0.892 µg/ml. Quantitative estimation of Rhein from Cassia tora extract of seeds by UV method showed that 2.487% w/w of Rhein is present in seeds of Cassia tora. Quantitative estimation of Rhein from Cassia tora extract of leaves by UV method showed that 4.352% w/w of Rhein is present in leaves of Cassia tora. Literature shows that the presence of Rhein in Cassia tora extract has revealed antimicrobial activity and hence rhein was selected as the marker compound 26. The developed method was validated, and it was found to be precise and sensitive. Antimicrobial Assay: Petroleum ether extract of seeds and leaves, ethanolic extract of seeds and leaves were diluted in the ratio of 1:1 with ethanol. (++) Zone of inhibition observed. (–) No zone of inhibition. From the Table 10, it is clear that only ethanolic extract of seeds showed antimicrobial activity and hence further concentrations of 25 mg/ml to 400 mg/ml were prepared to determine minimum inhibitory concentration against C. albicans, S. aureus, and E. coli. Determination of Minimum Inhibitory Concentration against Escherichia coli: Minimum inhibitory concentration of ethanolic extract of leaves was found to be 100 mg/ml, 75 mg/ml and 50 mg/ml against Candida albicans, Staphylococcus aureus, and Escherichia coli respectively. The result from the present study indicated that E. coli was more susceptible to the ethanol extract followed by S. aureus. This is in contrary to the earlier reports, which have shown that most antibacterial medicinal plants attack gram-positive strains than gram-negative strains because of their permeability differences 27. The possible mechanism for their broad-spectrum activity against both gram positive and gram negative bacteria may be due to their ability to complex with the cell wall. Formulation using Microbiologically Active Extract: Microspheres of ethanolic extract of leaves of Cassia tora were successfully prepared by a solvent evaporation method in the ratios of 4:1, 4:3, 2:1, 1:1. Optical Microscopy: The microspheres were evaluated for their size using compound microscope with the help of stage and eyepiece micrometer. The particle size of the F1 batch was found to be the lowest, but the particles did not have a proper spherical shape. Batch F2 showed proper spherical shaped particles, and hence it was selected. The formulation F2 showed highest release entrapment efficiency of 82.91% indicating the optimum amount of polymer required for the formation of microspheres. Further increase in the polymer concentration resulted in decrease entrapment efficiency indicating improper entrapment of the drug with the polymer. In-vitro Diffusion Studies: Based on the optical microscopy, particle size and entrapment efficiency F2 were selected as the optimized batch, and further release studies were been carried out using F2 batch. The optimized batch was compared with the marketed topical formulation. The optimized batch F2 showed sustained release as compared to the marketed formulation. This could be because of the drug at the surface of the microsphere which is first diffused due to wetting of the surface of the polymer. The barrier due to the polymeric microspheres led to a sustained release of drug from the formulation. Also, due to the small particle size microspheres easily penetrates the skin and shows the prolonged duration of action compared to ointments, creams. Greasiness of creams and ointments is the major issue in patient compliance which can be avoided by microspheres. Ethanol present in the formulation acts as penetration enhancer. CONCLUSION: The present study showed the presence of various bioactive metabolites such as flavonoids, alkaloids, saponins, cardiac glycoside, anthraquinones, carbohydrates in different extracts of Cassia tora seeds and leaves that confirms, this is a potent source for modern drugs. The method developed using UV-Vis spectroscopy for standardization of leaves and seeds extract was found to be precise and specific. Ethanolic extract of leaves demonstrated significant antimicrobial activity and hence could result in the discovery of novel antibiotics. By the results obtained, it can be concluded that ethanol is the best solvent for extracting antifungal and antibacterial bioactive compounds. 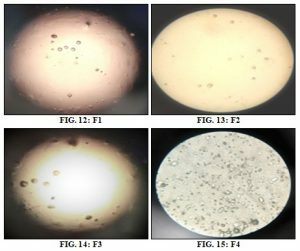 Microspheres developed as topical formulation showed sustained in-vitro release as compared to the marketed formulation. Thus preliminary studies carried out results in Cassia tora as a potent antimicrobial agent. ACKNOWLEDGEMENT: The researchers are thankful to Loba Chemie Pvt. Ltd., for providing facilities to carry out in-vitro antimicrobial activity. Garcia-solache MA and Casadevall A: Global Warming Will Bring New Fungal Diseases for Mammals. ASM Journals 2010; 1(1): 1-3. Korea S, Yoon HJ, Choi HY, Kim YK, Song YJ and Ki M: Prevalence of fungal infections using national health insurance data from 2009-2013, South Korea. Epidemiol Health 2014; 1-12. Bhalerao SA, Verma DR, Teli NC, Gavankar RV, Trikannad AA and Salvi PP: Sciences, Bioactive constituents, ethnobotany and pharmacological prospectives of Cassia tora. J Bioassays 2013; 02(11): 1421-1427. Bongomin F: Global and multi-national prevalence of fungal diseases - estimate precision. Journal of Fungi 2017; 3: 57. Taylor P, Mayer FL, Wilson D, Hube B, Mayer FL, Wilson D and Hube B: Candida albicans pathogenicity mechanisms 2013-2014; 37-41. Naveen C, Jayalakshmi G, Chidambaram R and Srikumar R: In-vitro evaluation of antifungal activity of Ganoderma lucidum against the biofilm producing Candida species. December 2017. Indian Journal of Pharmaceutical Education and Research 2018; 52(1): S46-S63. Kanafani ZA and Perfect JR: Resistance to antifungal agents : Mechanisms and clinical impact. Antimicrobial Resistance 2008; 46. Abad MJ, Ansuategui M and Bermejo P: Active Antifungal Substances from Natural Sources 2007; (vii): 116-145. Azeredo J, Henriques M and Rodrigues ME: Novel Strategies to Fight Candida Species Infection 2014; 7828: 1-13. Chandan D, Sujit D, Charan SD, Arnabaditya M and Dolley R: Available Online through Cassia tora : a phytopharmacological overview 2011; 2(4): 1162-1174. Pawar HA: Cassia tora: An overview. IJPSR 2011; 2(9): 2286-2291. Saravanakumar A, Ganesh M, Jayaprakash J, Jang HT: Biosynthesis of silver nanoparticles using Cassia tora leaf extract and its antioxidant and antibacterial activities. J Ind Eng Chem 2015; 28: 277-281. Asian journal of innovative research Available Online at http://www.asianjir.com Induced Hepatotoxicity 2016; 1: 1-5. Kumar V, Farzana A and Ramesh M: Hypolipidemic activity of Cassia tora seeds in hyperlipidemic rats 2014. Supare MS and Patil M: Estimation of phytochemical components from Cassia tora and to study its larvicidal activity 2015; 4(6): 11-16. Rakib M, Ansari V, Arif M, Ahmad A: A review of phytochemical and biological studies on Cassia obtusifolia linn. In folklore medicine of Eastern Uttar Pradesh. 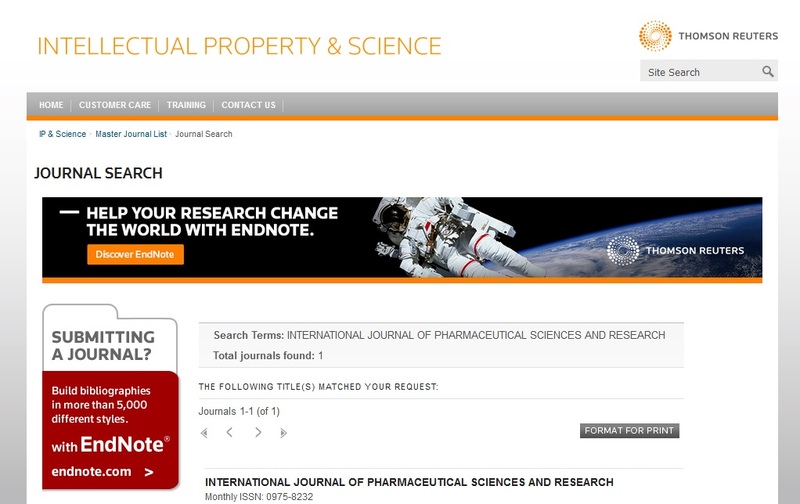 World Journal of Pharmaceutical Research 2018, 7(9): 191-201. 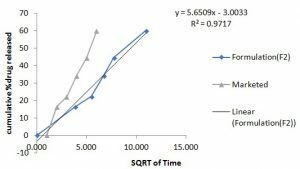 Kumar V, Singh R, Mahdi F and Ali A: Experimental validation of the antidiabetic and antioxidant potential of Cassia tora (L.): an indigenous medicinal plant. Indian J Clin Biochem 2017; 32(3): 323-328. Chethana KR, Senol FS, Orhan IE, Anilakumar KR and Keri RS: Cassia tora: A Boon to Alzheimer’s disease for its anti-amyloidogenic and cholinergic activities. Phytomedicine 2017; 33: 43-52. Ravi SK, Narasingappa RB, Joshi CG, Talakatta K, Vincent B, Ravi SK, Narasingappa RB and Joshi CG: Neuroprotective effects of Cassia tora against paraquat-induced neurodegeneration : Relevance for Parkinson ’ s Disease. Nat Prod Res 2017; 6419: 1-5. Mbatchou VC, Tchouassi DP, Dickson RA, Annan K, Mensah AY, Amponsah IK, Jacob JW, Cheseto X, Habtemariam S and Torto B: Mosquito larvicidal activity of Cassia tora seed extract and its key anthraquinones aurantio-obtusin and obtusin. Parasit Vectors 2017; 10(1): 562. doi: 10.1186/s13071-017-2512-y. Shreshtha A, Ghimire K, Gupta A, Pokhrel P, Banerjee J, Khanal H and Pradhananga M: Phytochemical screening and antihelminthic activity of Cassia tora. Journal of Applied Pharmaceutical Research 2017; 5(4): 22–27. 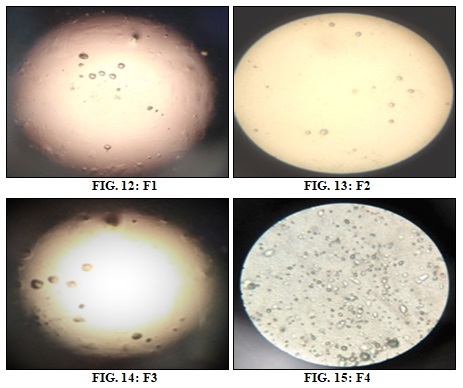 Konda S and Vani V: Formulation and evaluation of mucoadhesive microspheres of irbesartan 2013; 3(4): 450-463. Sarwa K, Girls G, Raipur P, Rudrapal M, Debnath M, Bharat M, Co E and Verma VK: Phytochemical and biological potential of Cassia tora European Journal of Medicinal Plants 2014. Kumar R, Narasingappa R, Joshi C, Girish T, Prasada Rao, U and Danagoudar A: Evaluation of Cassia tora against oxidative stress-induced DNA and cell membrane damage. J Pharm. Bioallied Sci 2017; 9(1): 33. Kim YM, Lee CH, Kim HG and Lee HS: Anthraquinones isolated from Cassia tora (Leguminosae) seed show an antifungal property against phytopathogenic fungi. J. Agric. Food Chem 2004; 52(20): 6096-6100. Timothy O and Idu M: Preliminary phytochemistry and in-vitro antimicrobial properties of aqueous and methanol extracts of Icacina trichantha leaf. Int J Med Aromat Plants 2011: 1(3): 184-188. Patil S and Shah R: Standardization, formulation & antimicrobial activity of Cassia tora. Int J Pharm Sci & Res 2019; 10(4): 1870-79. doi: 10.13040/IJPSR.0975-8232.10(4).1870-79.